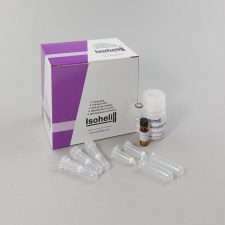 Column (small) based DNA Isolation kit processes 50 x 0.5ml+ of saliva. 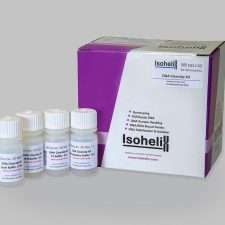 NEW High Purity Saliva-Prep 2 DNA Isolation kit to process 50 x 2ml of saliva. 50 x GFX Saliva Microbiome Collectors (Includes funnel, tube filled with 1ml stabilisation buffer, cap, & instruction manual). 12 x GFX Saliva Microbiome Collectors (Includes funnel, tube filled with 1ml stabilisation buffer, cap, & instruction manual). 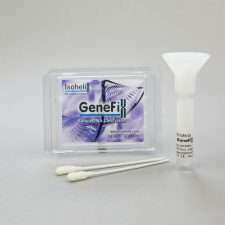 2 x GFX Saliva Microbiome Collectors (Includes funnel, tube filled with 1ml stabilisation buffer, cap, & instruction manual). 50 x RFX Assisted RNA Saliva Collectors (Each containing funnel, tube filled with 1ml stabilisation buffer, 2 foam swabs & instructions. Supplied with 2 x 22mg proteinase K, 1 x 5ml precipitation buffer & instruction booklet). 12 x RFX Assisted RNA Saliva Collectors (Each containing funnel, tube filled with 1ml stabilisation buffer, 2 foam swabs & instructions. Supplied with 1 x 22mg proteinase K, 1 x 5ml precipitation buffer & instruction booklet). 50 x RFX RNA Saliva Collectors (Each containing funnel, tube filled with 1ml stabilisation buffer & instructions. Supplied with 2 x 22mg proteinase K, 1 x 5ml precipitation buffer & instruction booklet). 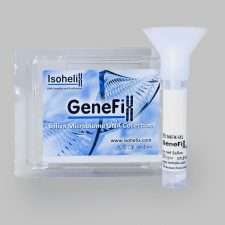 12 x RFX RNA Saliva Collectors (Each containing funnel, tube filled with 1ml stabilisation buffer & instructions. 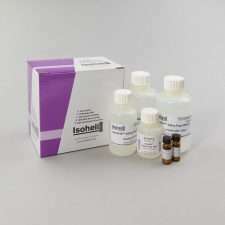 Supplied with 1 x 22mg proteinase K, 1 x 5ml precipitation buffer & instruction booklet). 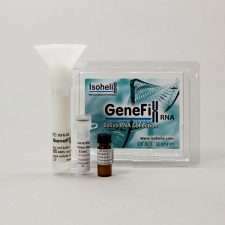 2 x RFX RNA Saliva Collectors (Each containing funnel, tube filled with 1ml stabilisation buffer, 1 x 2.2mg proteinase K, 1 x 0.2ml precipitation buffer & instruction booklet).